Let’s say a friend or family member has forgotten his/her Mac’s password and wants you to break into his or her computer and re-set it. It turns out that hacking a Mac is a heck of a lot easier than hacking a PC. Back in January of last year I wrote about how easy it is to break into a Windows PC. But breaking into a Mac is even easier provided FileVault disk encryption hasn’t been turned on and in most cases it will not have been . There are a number of ways to break into a Mac just as there are several ways to compromise a PC. In this post, I’m going to show you the easiest way to hack a Mac. All you need to do to hack a Mac is to boot it into Recovery Mode (the Recovery Partition that’s on every Mac) and fire up Terminal. To access the Recovery Mode on a Mac, press the Cmd and the R key during the boot-up process. Once you’re in Recovery mode open Utilities and open Terminal and type resetpassword into the Terminal window and then hit the Enter key. It’s pretty much that simple. I’ve put the exact details at the very bottom of this post. 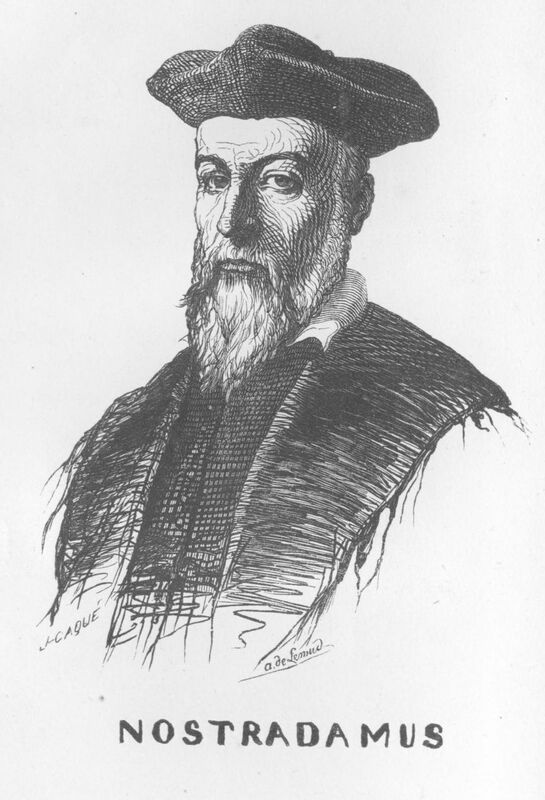 Click the above image to enlarge it. Before OS X 10.7 Lion, you didn’t even have to open Terminal. You just had to boot into Recovery Mode and then go to Utilities and then select Password Reset from the menu. So Wow, is it easy to hack a Mac or What! So how do you prevent someone from coming along and breaking into your Mac and mucking around in all your files? To prevent someone from resetting your Mac’s password and gaining access to your files, all you need to do is to go to System Preferences > Security and Privacy and enable FileVault to be turned on. 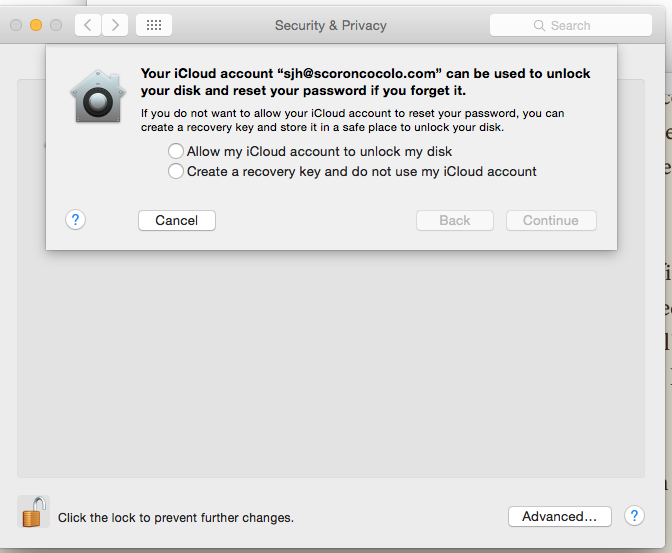 Once FileVault is enabled no one will be able to re-boot your Mac into Recovery Mode and make changes to your password. FileVault encrypts your entire computer making all of your files totally inaccessible to anyone who doesn’t know your password. But do you really want to enable FileVault encryption on your Mac? 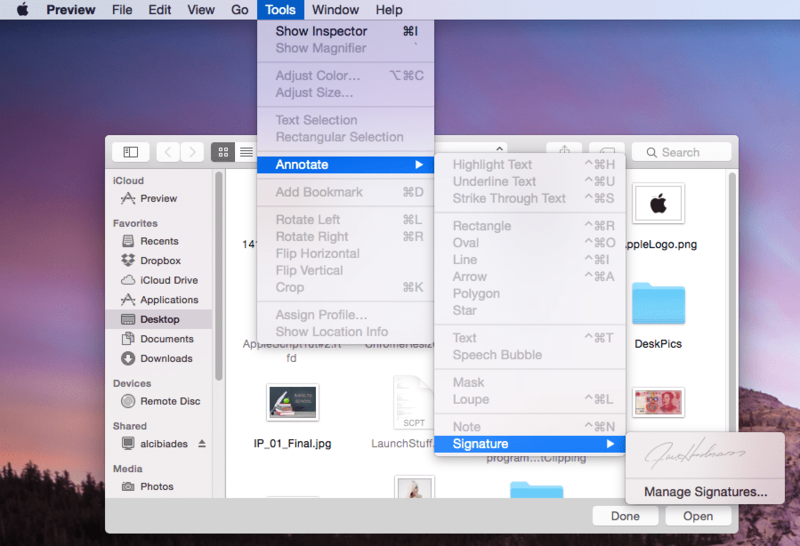 Apple’s newest OS, Yosemite, enables FileVault by default. 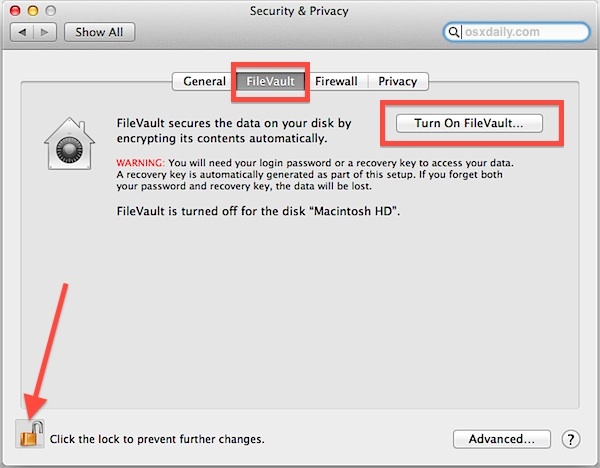 Before OS X 10.10 Yosemite, FileVault was turned off by default. And I think there was a good reason for this since there are pros and cons to FileVault and for me the cons out weigh the pros for average Mac users. Here’s why you might not want to enable FileVault encryption. First of all, if there are a few things you’d like to keep private on your Mac, it makes more since to store those things in a single encrypted folder than encrypting your entire computer. Secondly, it will definitely slow down your Mac – newer Macs with lots of RAM and SSD drives barely enough to notice but older Macs appreciably. Most importantly you’ll need to remember your Mac user account password or recovery key (I’ll explain recovery key in the FileVault setup instructions below) or you’ll never be able to use your Mac again. As I mentioned before, FileVault encryption will slow down your Mac especially if you’re doing something RAM intensive like working with PhotoShop or doing Movie editing. So if you’re going to use it you might want to set up two user accounts one encrypted with FileVault for all your sensitive files and the other without FileVault encryption for when you are doing everyday stuff like working, playing games or surfing the Web. There is a hidden partition on your Mac called the Recovery Partition and it’s been a part of OS X ever since OS X 7 Lion so this password re-set hack I’m about to detail will work on any Mac running Lion, Mountain Lion, Mavericks or Yosemite. 1) Restart the Mac. You can use the power button on the back of the Mac to do this. 2) The instant you hear the Startup chime press and hold the Command and R keys for 5 seconds and release. Soon you’ll see the Apple logo and a progress wheel (or bar in the case of Yosemite). 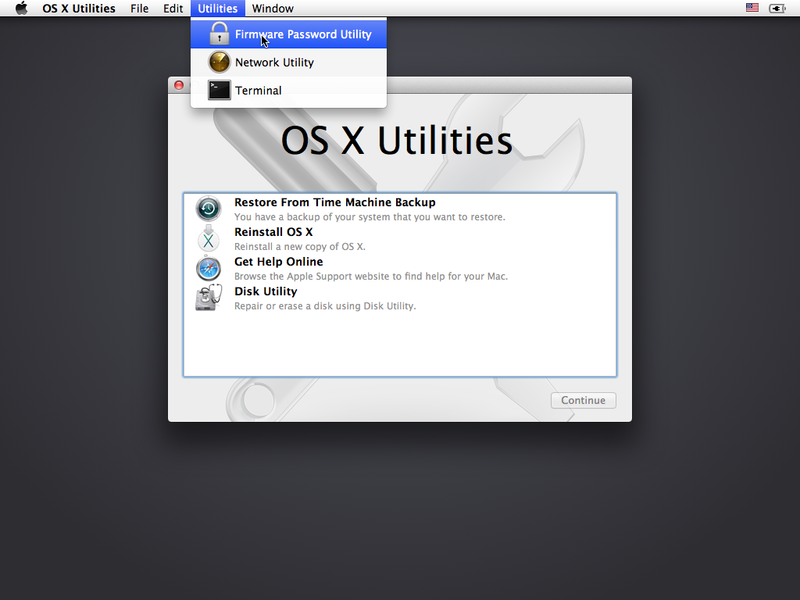 3) Once the Mac has booted into Recovery Mode you’ll see a page called OS X Utilities. I’ve put a picture of it at the top of this post. 4) Don’t try to click on anything on this page. Instead go to the Menu at the very top of your screen and Click Utilities > Terminal. 5) In the Terminal window type or copy and paste resetpassword and hit Return. 8) Select the desired user account. It will be pre-selected to you if you’re the only user. 9) Enter your new password twice. It has to be different from the old one, of course. 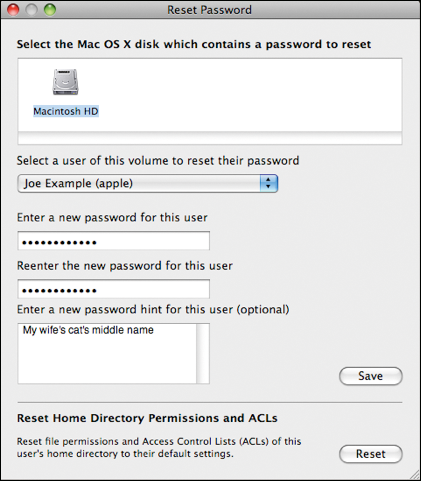 12) Log on with your new Administrator password you created in step 9 and if necessary go to System Preferences > Users and Groups and start cleaning house. 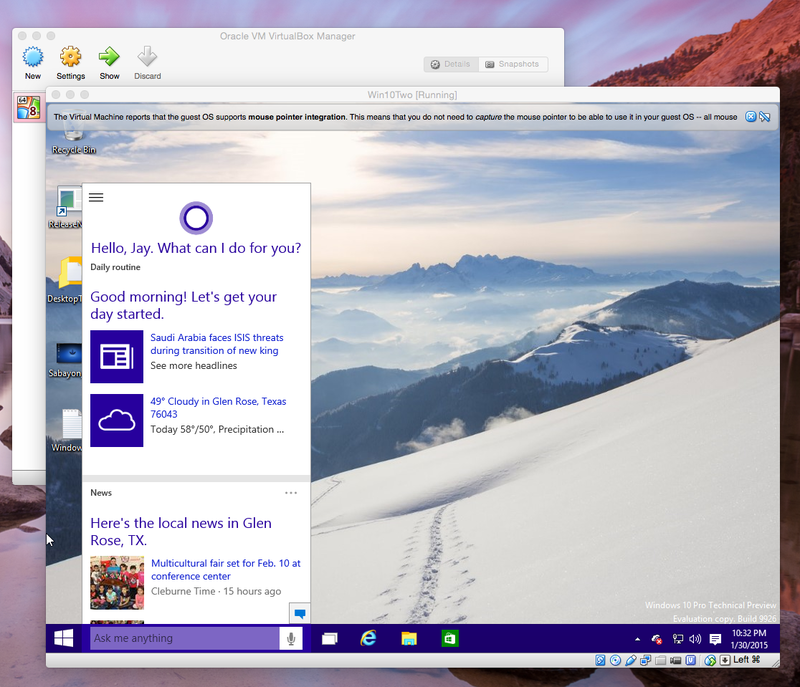 The newest Windows 10 preview is available for download. I downloaded it last night and installed it this morning. This build, build 9926, is a huge download and a huge improvement to the OS as well. I’ll list the major enhancements from the build 9879 that was first offered to us Win 10 Quinea Pigs in the bottom of this post. 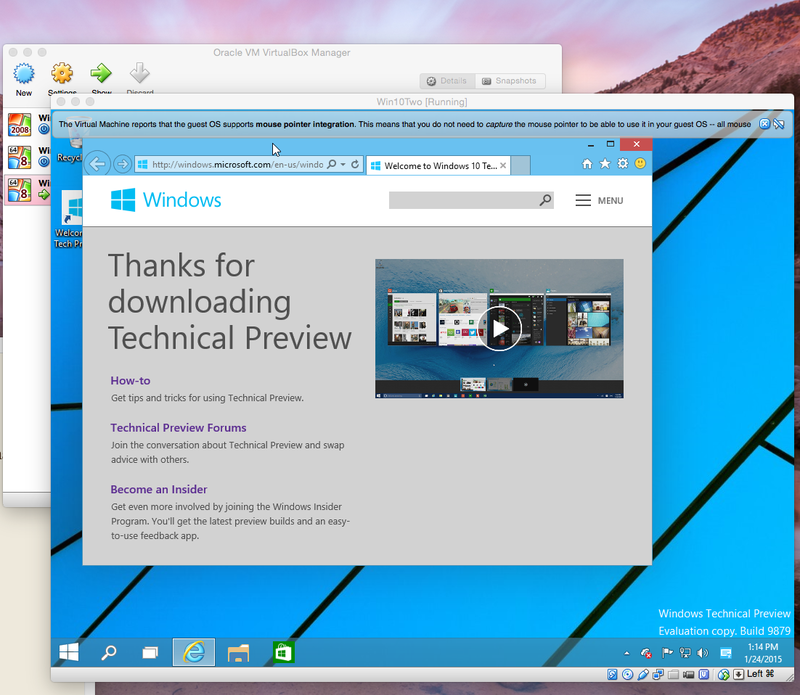 Last weekend I posted on this blog how to go about installing Windows 10 Technical Preview running in a virtual machine on your PC or Mac. You can read that post by scrolling down to the post directly below this one or if you arrived here via a search engine you can get to that page by clinking here. 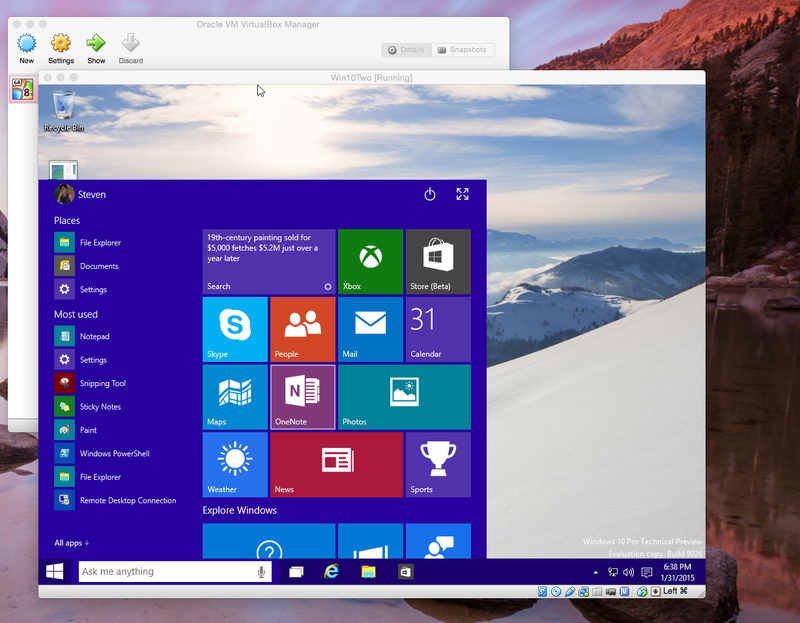 Last week’s post showed a screenshot of the Windows 10 build 9879 Start Menu. 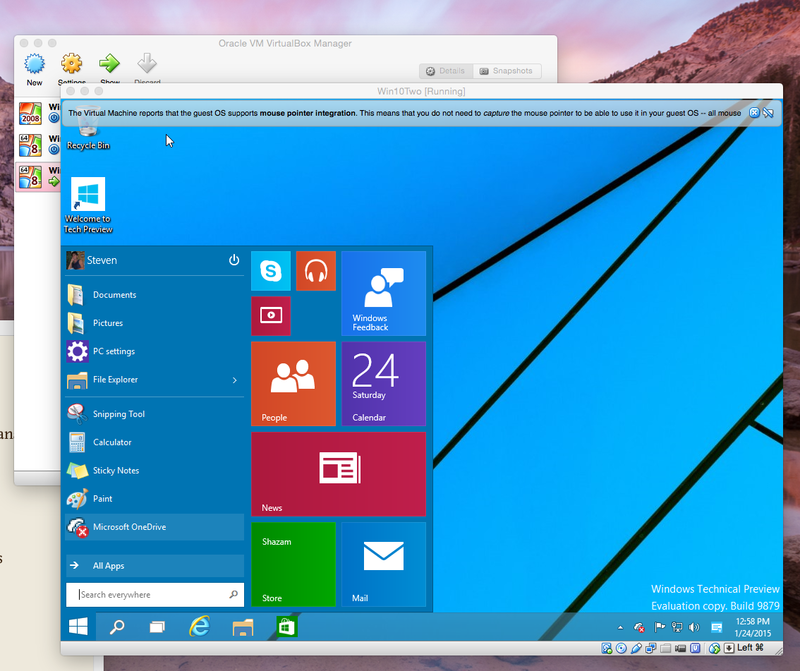 Below is a screenshot of the Start Menu in the new 9926 build. Cortana is to Microsoft Windows what Siri is to Apple iOS devices (iPhones, iPods and iPads) and Google Now is to Android phones and tablets. Just like Siri or Google Now you can speak to Cortana (normally in the form of a question) and she will answer you in a human sounding voice over the speakers of the machine or device you’re using. When you first open Cortana in Windows Ten, she’ll ask you what your name is. I told her my name is Jay. She repeated my name and asked me if she was pronouncing it correctly. She’s so polite. Is Cortana as good a Personal Assistant as Siri or Google Now? I don’t have an opinion. What I am impressed with is that Microsoft is rolling this functionality out onto PC’s. Cortana has been up and running for a good while on Windows phones but with Windows 10 she’s coming to desktop computers in the very near future as well. Oh and you can get in the settings and configure her to respond when you say “Hey Cortana”. Continuum may be the beginning of Microsoft’s answer to Apple’s Handoff. Apple’s Handoff allows you to begin a project large or small on your iPhone in any Apple app and then take up where you left off on any other iOS or OS X device. So far Continuum is not linking phones and PCs to the degree that Apple’s Handoff does. Right now Continuum is offering the ability to switch between table and PC mode, depending on which Microsoft device you’re using. But MS will probably roll out more features for Continuum in the future. I thought the Win 10 9879 build Start Menu looked pretty cool but the new 9926 build Start Menu looks even better. Scroll back up to the two screenshots and judge for yourself. You probably have a Microsoft OneDrive account. You may remember that it was called SkyDrive when it first came out back in 2007. If you don’t have a Microsoft OneDrive account, Windows 10 will nag you about setting one up every time you log on. It’s obvious that Microsoft is aiming to make OneDrive their answer to Apple’s iCloud. But OneDrive has a long way to go to catch up with iCloud. If you click to make larger the new Start Menu image above, you’ll see the new Store App prominently displayed in the upper right-hand corner. And yep, the Store is open for business on Windows 10. By enlarging that picture you’ll also notice the new the tile that will open the new Xbox App. If you have Xbox you can register in this app to play games on it I suppose. One of the things I love about Macs is the ability to switch between Desktops. Now Windows 10 allows this as well. 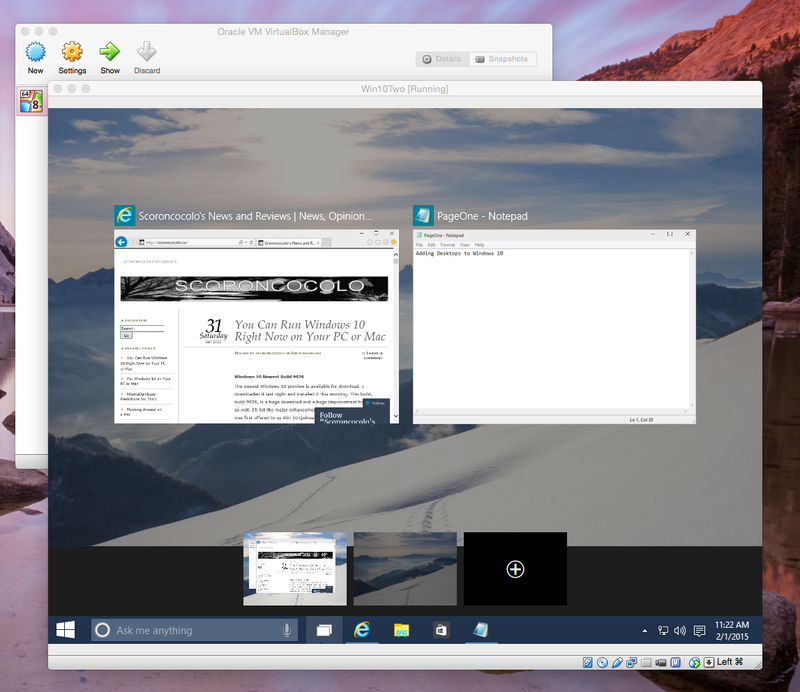 There are many thing you can’t yet do with desktops on Windows 10 that you can on a Mac or Linux. For instance you can’t change the wallpaper for individual desktops. But just having more than one workplace is a great leap forward. So there’s what Windows 10 is looking like so far. I’ll keep you posted on further developments when the next Windows 10 build arrives in a month or so. As Yogi Berra once famously said, “It’s tough to make predictions, especially about the future.” Just ask the NSA and the CIA who in Dec. 2000, several months before the 9/11 attacks, collectively issued an 85-page document predicting what the world would look like in 2015. It’s not laughable but it’s not all that accurate either. So if Nostradamus, Yogi Berra, the NSA and the CIA can’t accurately foresee the future what makes me think I, NostraDumbass, can? Well, I don’t get out much and I read a lot. I predict that Apple will introduce the Apple Watch early this year and that people in the States will be able to buy one before Valentine’s Day February 14th. And I predict that they will be called Apple Watches and not iWatches. And I predict they will fail miserably. The cheapest one will be around $350 but pricer ones will be available too. 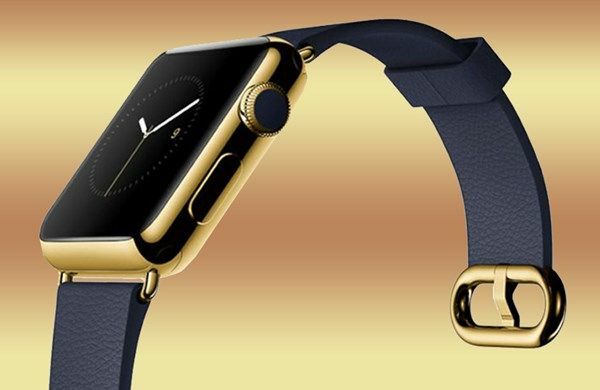 Apple is rumored to be making gold watches that will sell for 4 to 5 thousand dollars. Daring Fireball’s John Gruber who has friends high in Apples’s software engineering departments claims Apple intends to market some of its gold watches for as much as $10,000. The Apple watches are every bit as attractive as you would expect pieces of jewelry to be that’s made by Apple. You can see all twenty-two models of Apple watches here including the Mickey Mouse model and some gold ones as well. Will Brad Pitt and and the rest of the coolest people on the planet wear this? Not unless Apple pays them to and then not for long. Would Steve Jobs have worn one? Well, he might have worn the Mickey Mouse one. As gorgeous as these watches are and as cleverly as they no doubt will be designed, I predict they will be a bust. 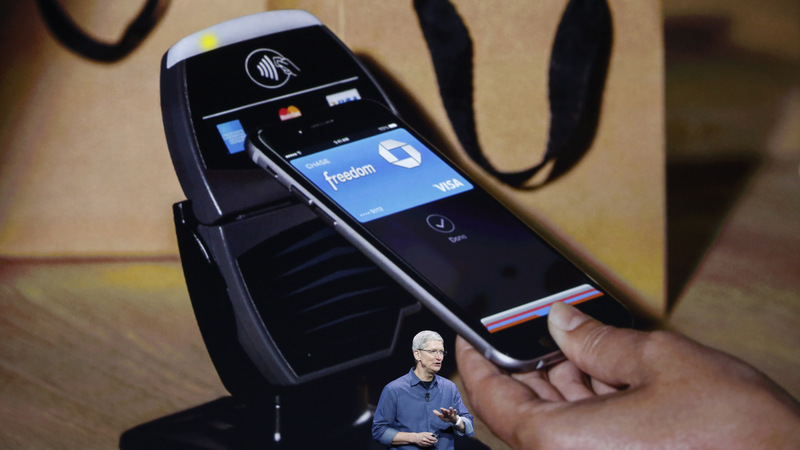 I predict that Apple Pay will, by the end of 2015, be deemed an unmitigated success. Just yesterday New York City’s Department of Finance announced it would begin allowing people to pay parking tickets with Apple Pay. Apple says it has partnerships with 220,000 stores. A partial list includes Bloomingdales, Macy’s, Duane Reade, McDonald’s, Sephora, Petco, Panera Bread, Staples, Nike, Walgreens, Subway, Whole Foods and of course Apple’s own online Apple Store. Chain grocers Winn-Dixie and Albertsons just last week came onboard and Disney World signs up next week. Apple Pay will only work with iPhone 6, iPhone 6 Plus, iPad Air 2, iPad mini 3 and the yet to be released Apple Watch (see above). It supports Master Card, Visa and American Express issued by almost all major American Banks. For now Apple Pay is only available in the US but it is set to launch in the UK in the first quarter of this year. Xiaomi is a Chinese electronics company that is very soon to be a major player in the smartphone, tablet, PC and TV market in the US, UK and the rest of the Western world. Although you may have never heard of them, Xiaomi is the third largest smartphone maker in the world followed by Lenovo and LG at fourth and fifth place respectively. Samsung remains in first place world-wide despite declining shipment volume, followed by Apple in second place. While Apple sells more smartphones and tablets in the US by far than does Samsung, both Apple and Samsung better be looking over their shoulders at Xiaomi. In the very near future, Xiaomi will begin selling a smartphone here in the States that uses a variation of Android that is far more popular in Asia than any other Android phone. I predict that Samsung will lose significant market share to Xiaomi in 2015. And I further predict that by the end of 2015 no one in America will wondering how to pronounce Xiaomi. By the way, it sounds like “SHOW me” if you pronounce the s in show as a z. Move Over iMessage, Snapchat, WhatsApp et. al. I predict that by the end of 2015 we will all be as familiar with Line a free to use Android and iPhone messaging and video calling app from Japan and WeChat, a messing service from Tencent in China as we are today with WhatsApp and Snapchat. 2014 was a horrible year for Bitcoin. 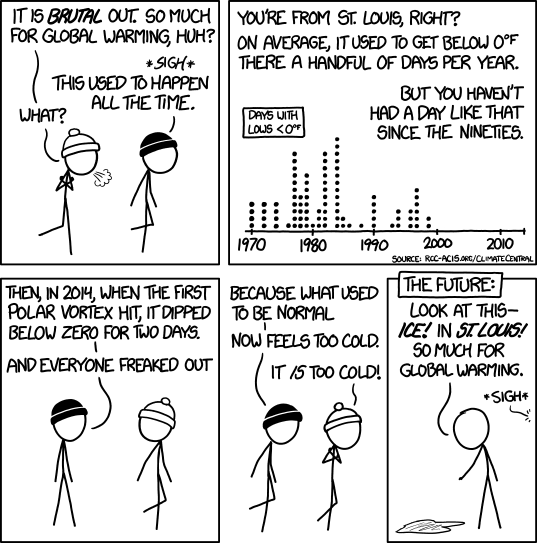 And I predict that 2015 won’t be much better for the beleaguered Internet currency. I don’t mean to suggest that Bitcoin is going to fade away and die in 2015. After all NY City is about to allow traffic violators to pay their fines with both Apple Pay and Bitcoins and a host of other reputable merchants have recently agreed to exchange their dollars and pounds for Bitcoins. 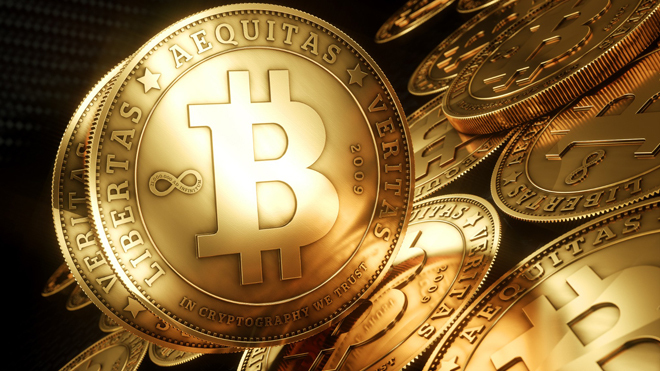 I predict that Bitcoin will become a viable currency but it won’t happen in 2015. In November of 2013 Bitcoin soared to $1,100 but the price of a Bitcoin opened on the first day of last year at $770 and today one Bitcoin is worth $316.37. Until the volatility of this currency is stabilized by attaching it to a real-world commodity it is worthless as an investment. I predict that one year from today Bitcoin will be trading at or about the same price it is today. I predict that Sony’d will become a part of the English language lexicon. To Be Sony’d will mean to be hacked. And I predict that dozens of major companies will have their servers and networks compromised in 2015. Hackers will penetrate even the most supposedly secure government and private enterprise computer networks. 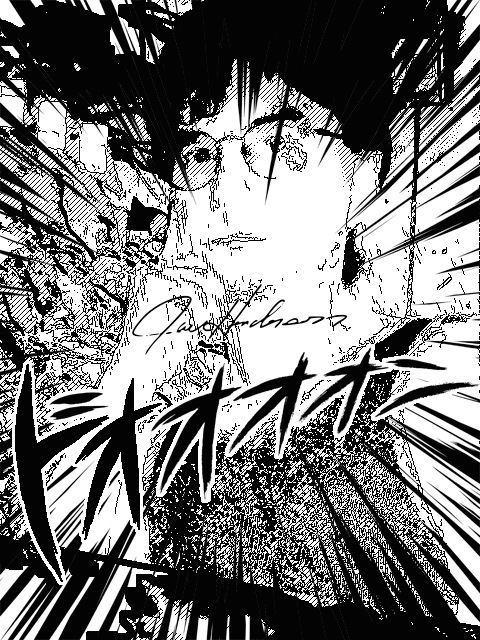 I recently wrote about using Wi-Fi to grab files from my PC to my Mac. I could do this because they share the same Wi-Fi network. The Internet is synonymous to Wi-Fi. If you’re on-line on your phone or computer then you’re on this giant world-wide network and you could be Sony’d at any time. I predict that by the end of 2015 the Republican Party Platform Committee will officially repudiate it’s stance against human involvement in Climate Change. I predict that by the end of 2015 the Republican Party will officially repudiate its opposition to marriage equality. I predict that by the end of this new year the leaders of the Republican Party will begin to show some compassion for undocumented workers contributing to our robustly growing economy. So there are my, NostraDumbass’, fearless Tech and Political predictions for 2015. We’ll revisit this page a year from now and see how I did. Every year the venerable old Oxford English Dictionary announces its word of the year. Last year’s OED word of the year was SELFIES those smartphone photos we can’t help but keep snapping of ourselves. I’m predicting that next year’s OED word of the year will be GLASSHOLES. I’m guessing that Glassholes will be a word we use to define nerds who can’t stop talking to Google Glass out loud in public places and become distracted while interacting with Google Glass while doing important things like driving. “O.K. Glass. Start recording” Google has so far only allowed a few thousand “fortunate” people to test Google Glass, the wearable glasses that show video in the upper portion of the right lens of Google Glass. But in the early Fall of this year Google has assured us that anyone with an extra 15 hundred dollars can buy Google Glass and that means that by the end of 2014 millions of Glassholes will be sharing the the nation’s roadways with us.